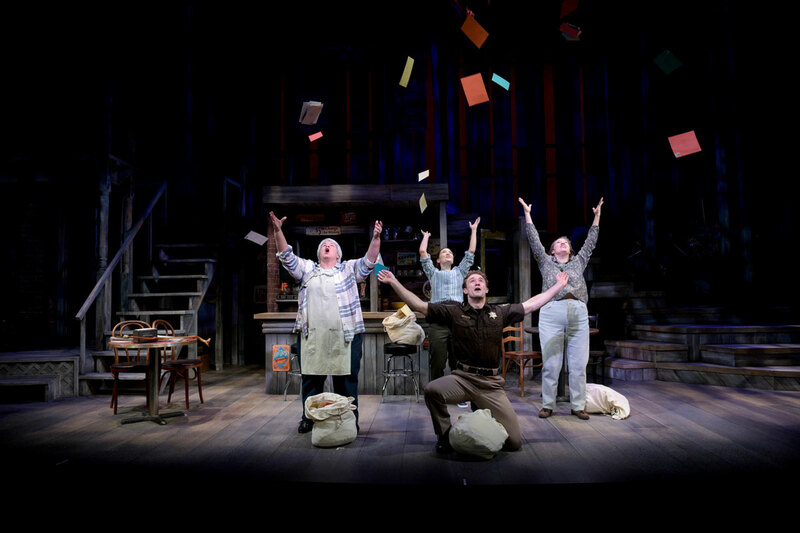 The Spitfire Grill is an incredibly heartfelt folk musical about redemption, but more than anything, it’s a profoundly human story. It’s a universal experience for people because we all understand longing, yearning, wanting more, and not getting what we want. Best described as a play with music rather than a straight folk musical, The Spitfire Grill, written by James Valcq pulls at the heartstrings of its audience. The two-act play is a musical adaptation of the 1996 film by the same title, which puts women in the spotlight. Since its world premiere in 2000 at the George Street Playhouse in New Brunswick, New Jersey, and then the off-Broadway production on September 7, 2001, The Spitfire Grill has been produced more than 600 times throughout the country and the world, including countries such as England, Scotland, Germany, Japan, Canada, The Netherlands and Australia, among others. And so, how fitting that as Palm Beach Dramaworks decided to bring the first musical to its main stage, it chose this world renown musical as part of its subscription season. Director Bruce Linser accomplishes a lot with this production. It showcases the special bond between three women, whose friendship gives them strength to overcome life’s emotional highs and harsh realities like loss, abuse and shame. It’s not only a female-driven tale of redemption, but also a story of forgiveness—between women, men and women, mother and son. People are hungry for stories like this, and behind that musical muscle that Linser talks about is Music Director Joshua Lubben, who plays piano and features musicians, brothers Tom and Michael, and wife Katie Lubben. While the four-piece band performs in the show in costume, it does not interact with the characters. Here, “music is more of the storytelling than an actual exposition of a character,” he says. And like him, one may feel there’s not one unnecessary song. Set in the small fictional town of Gilead, Wisconsin, the story unfolds as Percy, a young woman recently released from prison and still on parole, chooses Gilead from a picture in a magazine. 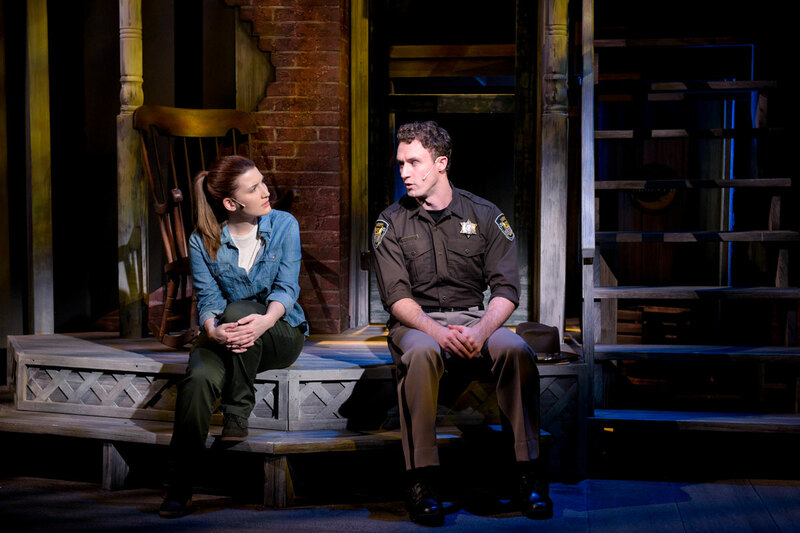 With no job or place to stay, her first contact is Sheriff Joe Sutter [Blake Price], who leads her to the Spitfire Grill, the only restaurant in town. There she meets Hannah [Elizabeth Dimon], the diner’s owner, a woman who has a bad hip and a chip on her shoulder. Like Percy, she’s a woman who hides her suffering well under her rough exterior. And while she’s been trying to sell the place since her soldier son Eli went MIA overseas, she has no motivation to do so. 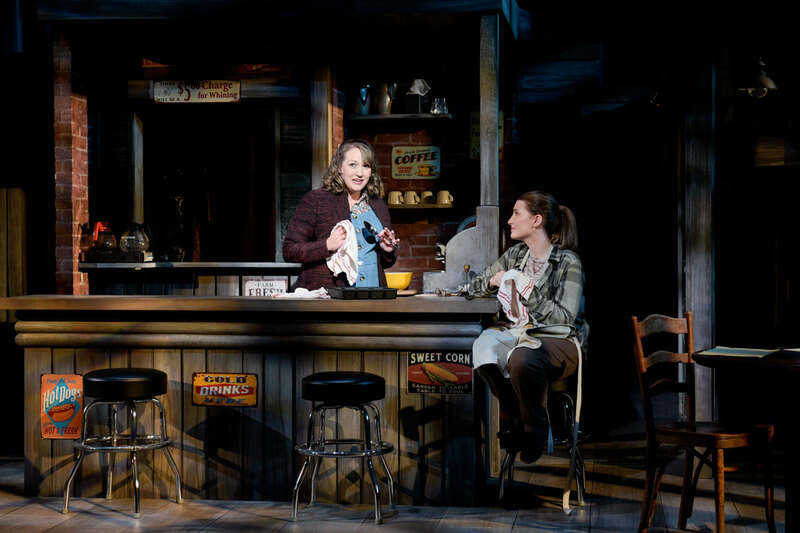 When Hannah falls on the stairs and injures her leg, her timid niece-in-law Shelby [Amy Miller Brennan] comes to the rescue and steps in to help at the diner. The bond that quickly builds between Shelby and Percy [Ashley Rose] is intimate and beautiful. And it is really there when the story takes a nice twist. In order to help Hannah get rid of the grill, Percy and Shelby create a raffle and essay contest, with the Spitfire Grill as the grand prize. However, Caleb [John Barry Green], Hannah’s controlling nephew and Shelby’s abusive husband, opposes this plan and sets out to find who Percy really is. But nothing he says or does derails the women, who get stronger each day as the mail comes in, delivering thousands of envelopes, each filled with a personal and heartwarming story and a one-hundred dollar bill entry fee. This is not the story of one individual, but about a town. The town would not have been redeemed without Percy being there. And likewise, she wouldn’t have found a new life if she had not gone to that specific place and interacted with those specific people. They all share this commonality of holding themselves back, and in the end, the mirror that they hold up to each other is what sets them free of their own strongholds. The Spitfire Grill is an incredibly heartfelt folk musical about redemption, but more than anything, it’s a profoundly human story. And, while it is set in the upper Mid-west, it’s not limited to there. It’s a universal experience for people because we all understand longing, yearning, wanting more, and not getting what we want. This is everybody’s story. The Spitfire Grill ran from February 1 through March 3, at The Don & Ann Brown Theatre located in the heart of downtown West Palm Beach.